The autos of the 1980s tend to be remembered for all the wrong reasons—cookie-cutter styling, anemic engines and ugly plastic interiors. But not all ’80s cars were like that, and a select few have started to catch collectors’ eyes. The values of these modern classics are climbing, but unlike most of the collectible cars of earlier eras, lots of these 1980s gems still can be had for less than you would pay for a new economy car. 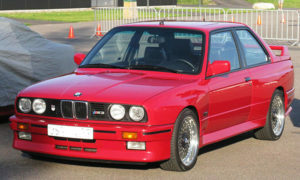 Exceptions: The Porsche 911…DeLorean DMC-12…and BMW M3 are among the 1980s cars that already command premium prices. 1982–1992 Chevrolet Camaro Z/28. 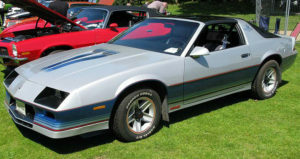 This third generation of the Camaro was the most aggressively styled, muscular sports car sold by a mainstream American carmaker when it reached the market. Many American kids who grew up in the 1980s dreamed of driving it—and some of those kids, now adults, have begun seeking out this dream car of their youth. The Z/28 was the top trim level offered at the time, and it’s the most collectible today. Value: $8,400 in good condition to $15,600 in top condition. 1983–1988 Chevrolet Monte Carlo SS. The platform of this Chevy sedan was the basis for GM’s ­NASCAR race cars of the era—Darrell Waltrip won the 1989 Daytona 500 in a Monte ­Carlo. This gives the car a cache among racing fans. Its V8 engine produced 180 hp. A fastback “Aerocoupe” model offered in 1986 and 1987 featured a sloping, aerodynamic rear window and is especially desired by collectors. Value: $11,600 in good condition to $18,800 in top condition ($15,200 in good condition to $27,800 in top condition for the Aerocoupe). 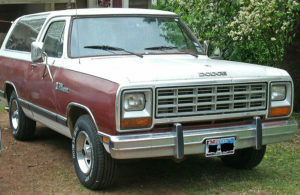 1981–1993 Dodge Ramcharger. Vintage American SUVs are rapidly gaining the attention of collectors, and this second gen­eration of the Ramcharger is among the most popular from the 1980s (along with the Ford Bronco). Unlike many SUVs, it has the big, tough look of a full-sized pickup truck. But be especially rigorous about checking the body and frame for rust before buying a 1980s Ramcharger—this vehicle is notorious for rusting away to dust. On the bright side, if you find and buy a rust-free Ramcharger and take care of it, the rust problems could work to your advantage—the more ­Ramchargers that rust away, the rarer and more valuable yours becomes. Value: $8,900 in good condition to $19,700 in top condition. 1980–1986 Ford Bronco. Like the Ramcharger, this third generation of the famous Bronco SUV looks big and tough—its rugged styling and sturdy chassis are based on the popular Ford F-series pickup truck of the era. Don’t confuse the Bronco with the Bronco II, however. 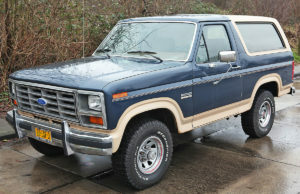 The Bronco II, which debuted in 1983, had a very similar name but was smaller and less rugged than the Bronco, and it holds little appeal for today’s collectors. Value: $8,500 in good condition to $24,000 in top condition. 1987–1993 Ford Mustang. The Mustangs of the 1980s historically have not been the most popular vintage of this vehicle among collectors, but they are slowly finding a following. They remain affordable by Mustang standards…and they’re more powerful than the “oil crisis”–era Mustangs of the late 1970s (though less powerful than pre-1974 Mustangs and modern Mustangs). Mustangs from the 1987–1993 model years seem more likely to appreciate in value than those from 1979–1986. 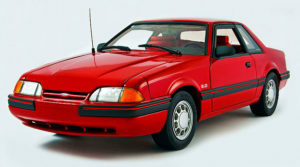 The whole 1979–1993 period is grouped together as Mustang’s third generation, but there were some notable improvements made to the styling and interior starting in 1987—the car became sleeker and much more modern. Value: $5,600 in good condition to $17,700 in top condition. 1977–1988 Porsche 924. 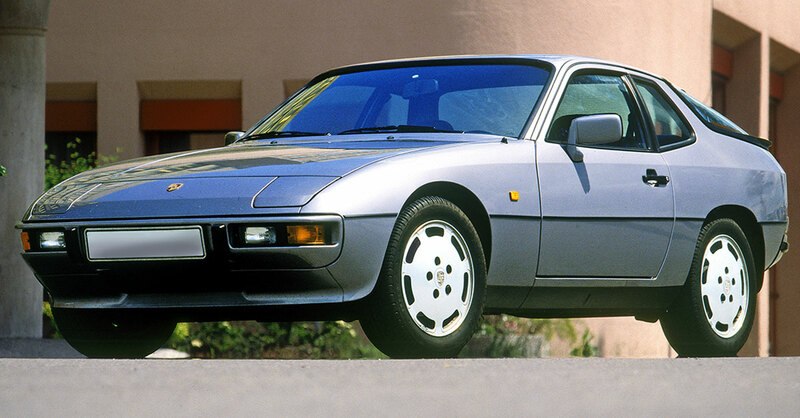 The 924 is a good choice if you want to drive a Porsche but don’t want to pay the usual Porsche price. Many Porsche purists don’t love the 924—its engine, designed by Audi, was not especially powerful and was positioned up front rather than in back as in many classic Porsches. But values have been inching up as collectors come to realize that the 924 offers fun driving dynamics and Porsche’s elite build quality for a fraction of the $30,000-plus they would have to pay for a 1980s-era Porsche 911. Value: $6,700 in good condition to $16,500 in top condition. 1984–1989 Toyota MR2. This lightweight, nimble rear-wheel-drive two-seater was the first mass-produced “mid-engine” sports car to come to the US from ­Japan. Positioning the engine in the middle of the vehicle made for ­excellent weight distribution and ­handling. Even today, an MR2 in good condition is great fun to drive, though it’s not particularly powerful by sports car standards. “Supercharged” models are most desired by collectors—they offered 145 hp, compared with the 112 hp of the base four-cylinder. Value: $6,300 in good condition to $16,500 in top condition with the base engine…or $6,500 in good condition to $17,800 in top condition for a ­supercharged model. 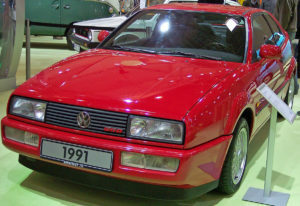 1989–1994 Volkswagen Corrado. Admittedly, including this VW on a list of 1980s cars is a bit of a stretch—it didn’t go on sale in the US until the 1990 model year. A 1989 model was available in ­Canada, however, and those do turn up used in the US. Whatever its debut decade, the Corrado is a sporty, front-wheel-drive German coupe that’s fun to drive, affordable and likely to increase in value as collectors discover that it’s an overlooked gem. It’s nicer looking and quicker than the also collectible VW GTI of the era, and it’s much rarer—only around 18,000 Corrados were sold in North America, while the GTI was a big seller for ­decades. But while Corrados currently can be found for reasonable prices, be sure to factor in repair bills over time—this car is great fun to drive but not very reliable. Of the two engines VW offered in the Corrado, the 2.8-liter six-cylinder VR6 generally is considered more reliable than the 1.8-liter four-cylinder G60. But those engine problems could work in your favor if you find a good one, maintain it well and don’t expect it to be a daily driver—every time a Corrado experiences engine problems and is not repaired, yours becomes even rarer and potentially more valuable. Value: $3,700 in good condition to $9,600 in top condition with the G60 engine…or $5,900 in good condition to $13,800 in top condition with the VR6. Imagine that you located two examples of the 1980s car you want. The sellers are asking similar prices, and there are comparable miles on the odometers. One looks great but isn’t running…while the other runs great but needs paint and bodywork. Which should you buy? Most novice car collectors would choose the one that runs well—and they’d probably be making a mistake. The costs of paint and bodywork have skyrocketed in the past decade due in part to the increasing environmental regulations faced by body shops. If you see extensive rust, numerous dents and/or paint problems that will require repainting, the smart move very likely is to walk away. On the other hand, many mechanical problems are affordable to fix with 1980s cars because inexpensive replacement parts tend to be available in salvage yards and online. Car-savvy collectors often can repair 1980s cars’ mechanical issues themselves because these cars were not as complex and computerized as today’s cars. Even if you can’t, you typically would end up spending more overall for a major body redo than for fairly major mechanical repairs. Exception: If the car requires an engine or transmission replacement and you cannot do the work yourself, the repair costs can easily climb into four figures…potentially more if you purchase an exotic make such as a Porsche that must be taken to a specialized mechanic. *The date ranges listed extend into the late 1970s or early 1990s when the model described remained largely unchanged into those decades.